Sport model designed by Pat Tritle. The short kit includes laser-cut balsa and plywood, printed plans, and vacuum-formed plastic wheel pants. The Hybrid Spacewalker is not a scale mode, but has a Golden Age scale appearance. The whole idea behind the model was to create a mildly aerobatic model along the lines of the original Spacewalker, but to be slower, yet more capable of simple simple aerobatics like loops, rolls, and stall turns. The plan worked great, and what came of it is a very docile little acrobat. The model is of all wood construction with vac-formed plastic wheel pants, and features a bolt on wing for easy transport. 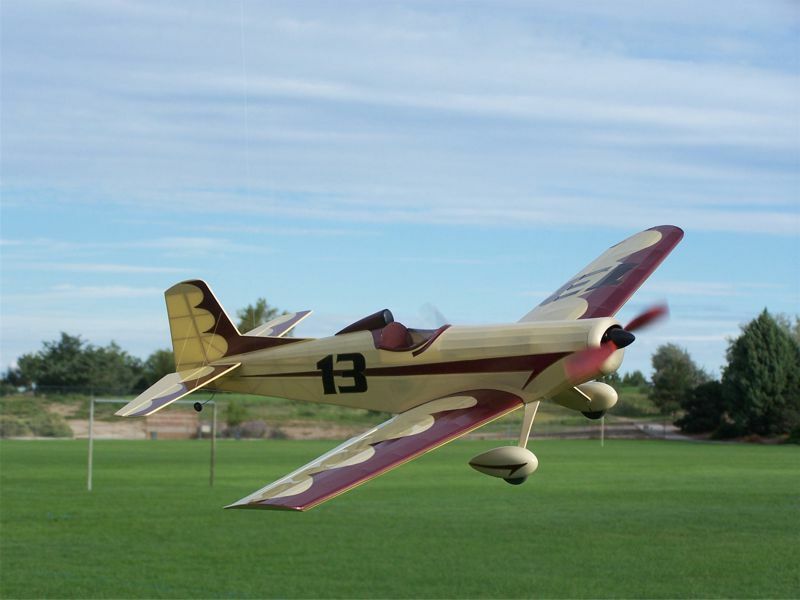 The fuselage and tail section are "stick framed", with an egg-crate style wing construction to make assembly quick and easy, yet build into a strong and light weight model.